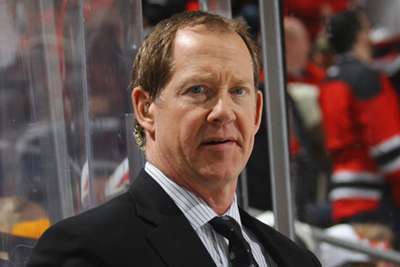 The Buffalo Sabres have fired Phil Housley after the team missed out on the NHL playoffs, while the Florida Panthers are also searching for a new head coach having dismissed Bob Boughner. Housley has been relieved of his duties after two years in charge, with the Sabres finishing the regular season with a 33-39-10 record. It marks the eighth season in a row Buffalo have missed the playoffs, a franchise-worse streak. Overall, Housley, 55, went 58-84-22 in his two seasons with the team, with the Sabres announcing his departure on Sunday. The way the season ended is a tough blow for the Sabres, who began impressively and reeled off a 10-game win streak in November. However, things quickly unravelled in December and the team went 16-33-8 following their run of victories. Since December 13, the Sabres were unable to win back-to-back games and ended the season 13th in the Eastern Conference Standings. Boughner also lasted two seasons with the Panthers and a had year to run on his contract. Assistant coach Paul McFarland was also sacked. "We made a tough decision and have relieved Bob Boughner of his duties as head coach," Panthers general manager Dale Tallon said in a statement. "We didn't meet expectations this season and share responsibility for that fact. "After careful evaluation, we have determined that this is a necessary first step for our young team and we will seek to identify a transformative, experienced head coach with Stanley Cup pedigree to lead our team going forward. "We're grateful to Bob, Paul and their families for their hard work and their dedication to the Panthers organisation and we wish them the best of luck in their future endeavours." According to Sportsnet, the Panthers already have started the hiring process and former Blackhawks and Blues coach Joel Quenneville is the top candidate to take over the team. In his two seasons with Florida, Boughner went 79-62-22. This past campaign, the team went 36-32-14.